Elements is a new group show that explores notions of what this word means. Elements being integral characteristics of an abstract whole. Elements are the primary constituents of matter. Elements are part of the natural world. 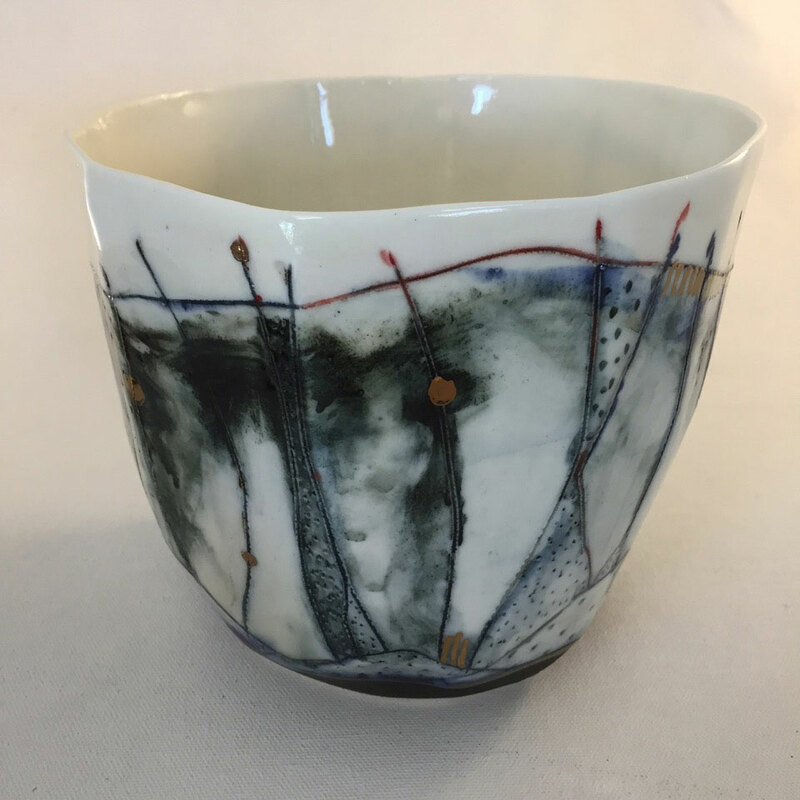 Working in a moorish palette of indigo, earth tones, olives, organic greens and copper – the concept will be explored by a painter and 2 ceramicists. 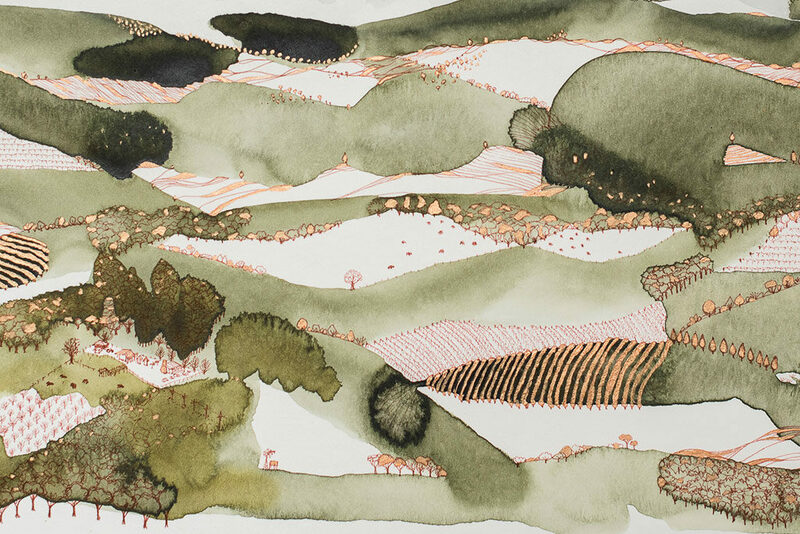 Ingrid is a Sydney-based artist, drawing inspiration from both her travels and the Australian landscape. Off the back of her taking the winning title in the Saint Cloche ‘Little Things’ competition last September, Ingrid returns to the gallery to showcase more of her popular and unique brand of painting. 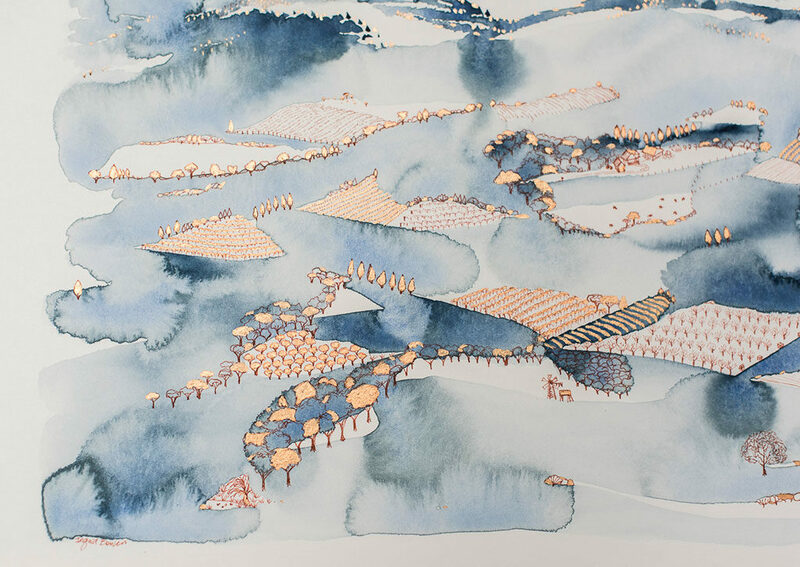 The artist works on cotton rag board with watercolour, ink, acrylic metallic paint and much quiet contemplation to create landforms and landscapes, patterns and patinas, perspectives and horizons. “In my Elements series I’m enjoying the process of landforms becoming landscapes, by allowing colour to morph into natural notions of country, and then adding elements* to elaborate on the story. Ambiguous in perspective, these are imagined, remembered, and forgotten places. I like the tension created by what is added, and what is left out. Copper, endemic to NSW, is a nod to my heritage”. 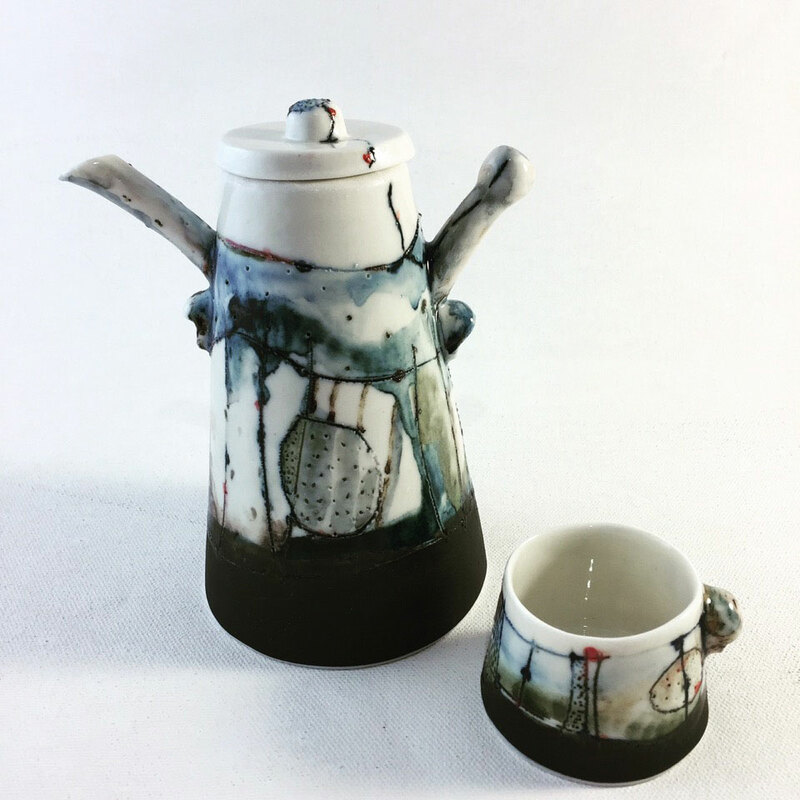 Jan is a Sydney-based ceramicist who hand-builds sculptural objects allowing the form to tell the story, alluding to ideas and meaning through its three-dimensionality. 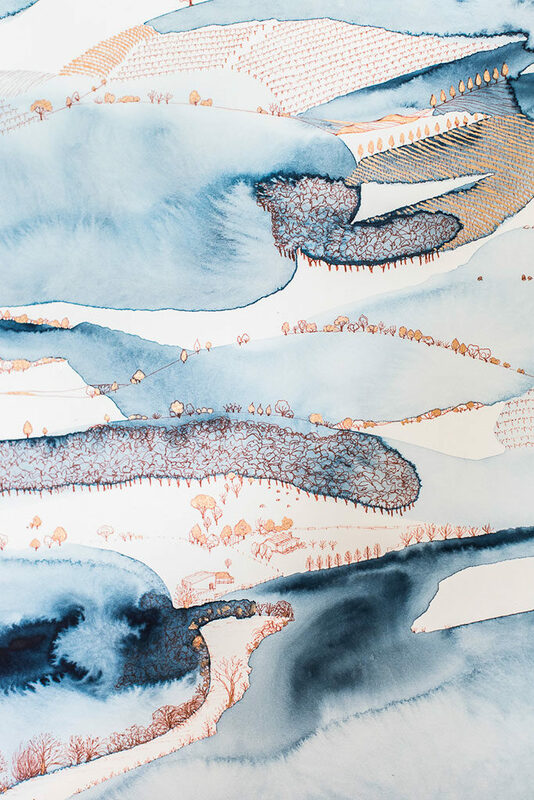 Her Tree Series was inspired by the wonderful stands of trees that make strong, dark marks across the windswept coastal landscape of south– western Victoria. “While the windbreak could almost be a logo for nature being put to use for human ends, in its strength and solidarity it came to represent to me the human struggle also. 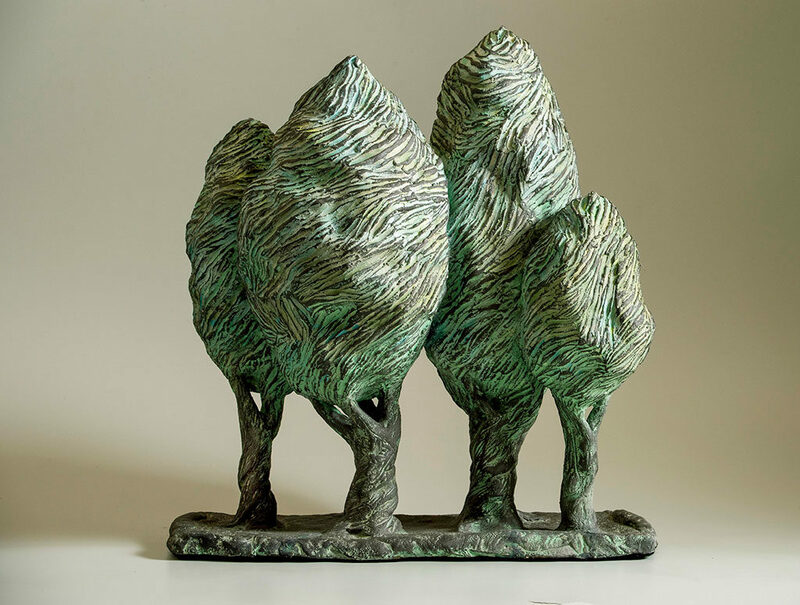 You have quite a lot of time to think when you’re pushing clay around and I found this parallel between tree and man strangely comforting, a commendation of our better nature over the side too often seen”. 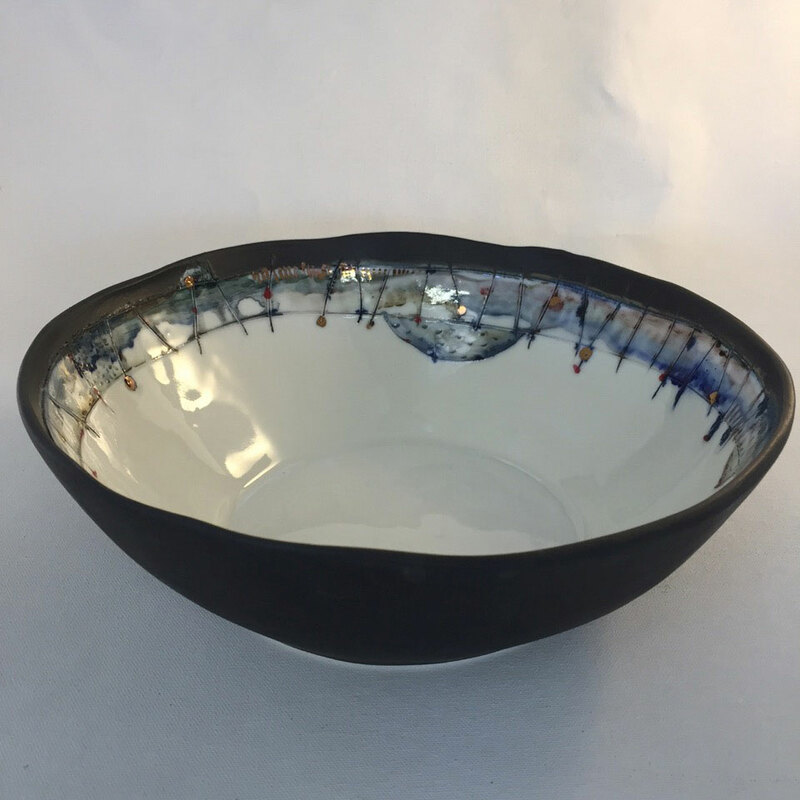 Marina Pribaz is a ceramic artist focusing on making functional pieces. 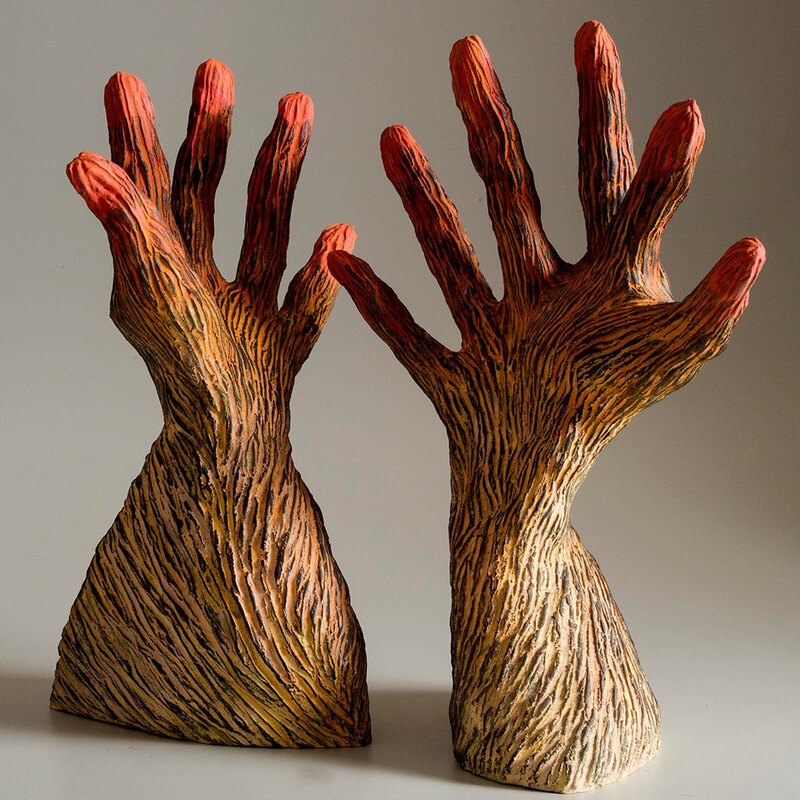 Her work is primarily slipcast, and then carved, pierced and handpainted to create an organic textural quality. 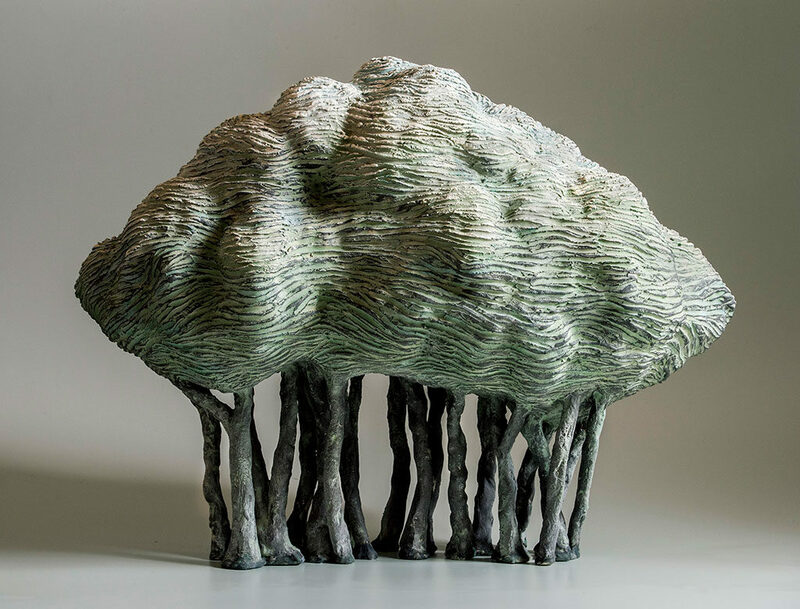 Her works speak of nature- landforms, striations, movement of water, imagined trees – all with the unmistakable mark of something made by the human hand.